War | It's Only Natural To Resist. Ma’an News – Fluctuating prices, poverty and border restrictions mean growing numbers of Palestinians are facing food insecurity this year — one of the key priorities in the humanitarian community’s annual appeal for the occupied Palestinian territory. This year’s Consolidated Appeal Process is for $401.6 million, a slight decrease on last year’s $416.7 million, only 68 percent of which was financed. The UN Office for the Coordination of Humanitarian Affairs, which helped coordinate the CAP, estimates that 1.3 million Palestinians do not have enough food. The latest figures show the number of households without sufficient access to food has risen by 7 percent since 2011, a trend which — if continued — would have left an estimated 41 percent of Palestinians without the necessary resources to get sufficient, safe and nutritious food at the end of 2012. “Palestinian wages have not kept pace with inflation … Many poor Palestinians have exhausted their coping mechanisms (taking on loans, cutting back consumption) and are now much more vulnerable to small price increases than they were,” said a recent World Food Program bulletin. According to the CAP, the situation is further worsened by restrictions on the movement of people and goods, which have resulted in higher prices of basic food commodities and reduced the purchasing power of many vulnerable families. Humanitarian agencies hope to carry out 157 projects in 2013 — 58 implemented by UN agencies, 82 by international NGOs and 17 by local NGOs. But doing this type of work is becoming increasingly difficult, according to aid workers who say getting access to vulnerable communities became tougher in 2012 because of lengthy Israeli planning procedures and restrictions on mobility and authorization. In 2011, UN reconstruction projects had to wait an average of eight months for approval from Israel’s Coordination of Government Activities in Territories, a unit in the Israeli Ministry of Defense that engages in coordinating civilian issues between the government of Israel, the army, international organizations, diplomats, and the Palestinian Authority). By the end of 2012, the average waiting time more than doubled to 20 months, according to the CAP report. In addition, aid workers lost some 1,959 working hours due to 535 access incidents while attempting to pass Israeli checkpoints in 2012, Maria José Torres, OCHA deputy head of office in OPT, told IRIN. This trend is expected to worsen once the Israeli Crossing Points Administration, a civilian department linked to the Defense Ministry, begins to operate all checkpoints. The CPA requires regular searches of UN vehicles, unless the driver is an international staff member, and national UN staff are subject to body searches and required to walk through the crossings the CPA operates. It remains unclear, however, when exactly CPA will take over. The recent escalation in violence in Gaza at the end of 2012 only increased humanitarian needs and added an extra $26 million to the CAP as communities try to rebuild: this year’s appeal has a tighter focus on strictly humanitarian projects that would immediately tackle suffering, said Torres. 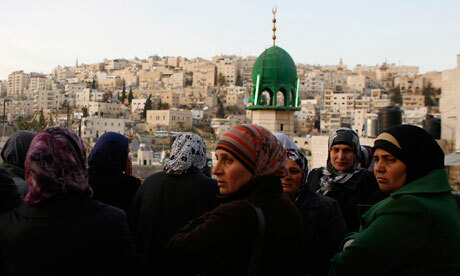 The indebted Palestinian government in the West Bank is also struggling to provide basic services due to a shortfall in revenue provoked by declining donor support, and also the holding back of tax revenues by Israel, which objected to the State of Palestine being given the status of a non-member observer state at the UN. These incidents highlight the close correlation between politics and humanitarian needs in oPt. At the CAP presentation in Ramallah, several speakers on the podium criticized Israel for provoking what they said was a man-made humanitarian crisis in oPt. 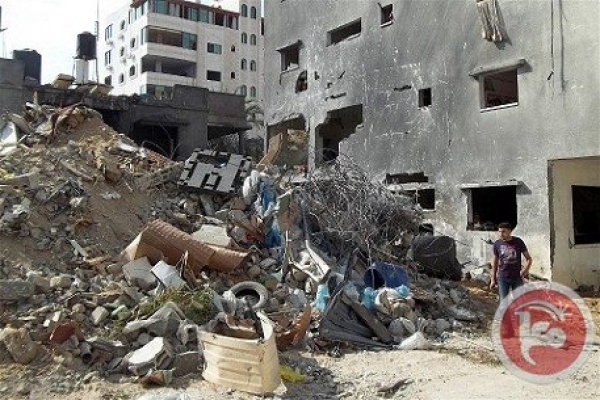 “The UN has repeatedly called upon the State of Israel to meet its obligations as an occupying power, including halting demolitions and addressing humanitarian needs. Unfortunately, these have not been met,” said the resident humanitarian coordinator in oPt, James Rawley. Many of the Palestinian officials and humanitarian staff present told IRIN they had become frustrated by the man-made and largely unchanged humanitarian crisis in the West Bank and the Gaza Strip. “After 20 years of a useless peace process with Israel, the situation on the ground continues to deteriorate. The status quo is not working,” said Estephan Salameh, an adviser to the Palestinian Ministry of Planning in the West Bank. At least five unarmed young Palestinians, including a 21-year-old woman, have been shot dead by Israeli soldiers in 13 days since the start of the year, prompting mounting concern about the unwarranted use of live fire. A sixth was killed on his 17th birthday last month, and a seventh death this month is disputed by the Israeli military. The commander of the Israeli Defence Forces (IDF) in the West Bank, Brigadier-General Hagai Mordechai has ordered all commanders to reiterate to all soldiers the rules of engagement, a military spokesman told the Guardian. The youngest to be killed was 15-year-old Salah Amarin, who died last Wednesday, five days after being shot in the head during clashes near Aida refugee camp in Bethlehem. According to the IDF, he had been launching stones from a slingshot. Sixteen-year-old Samir Awad was shot on 15 January after crossing a fence that forms part of the security barrier near his home in the village of Budrus. He had just completed school exam before a midterm break from school when he was grabbed by soldiers, broke free and ran away. Soldiers opened fire, hitting him from behind in the back and the head. The IDF said Awad was “attempting to infiltrate into Israel”. Three days earlier, Uday Darwish, 21, was also shot in the back while running away from soldiers after attempting to cross the separation barrier south of Hebron, according to Palestinian sources. The IDF said “soldiers at the scene fired towards his legs”. Last month, Mohammed al-Salaymeh was killed by a female soldier at a checkpoint in Hebron while en route to buy a cake to celebrate his 17th birthday. 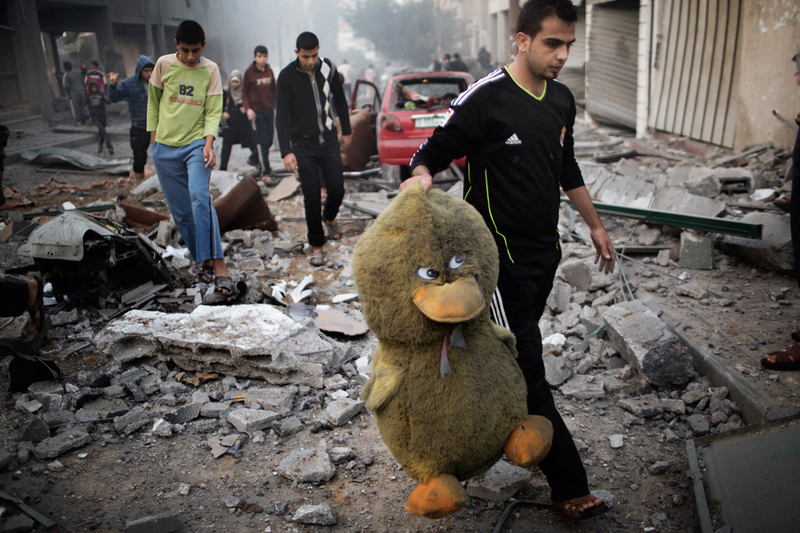 The IDF said he had brandished a toy gun. Grainy video footage of the incident appears to show the youth struggling with a soldier, and then being shot three times. The third and final shot is fired as Salaymeh is leaving the scene. In Gaza, Anwar al-Mamlouk, 19, was shot in the abdomen 50 metres from the border fence on 11 January by Israeli soldiers, according to the Palestinian Centre for Human Rights. Three days later, a 21-year-old farmer, Mustafa Abu Jarad died after being shot in the head. The IDF denied it was responsible. According to B’Tselem, IDF regulations say live fire is permissible “in a case of violent rioting by the separation barrier, when there appears to be a real threat of damage to, or breaching of, the barrier, and when less severe methods have proved to be ineffective, the commander of the force may, as a last resort, authorise the firing of single shots of live ammunition at the legs of those people identified as central agitators”. At least 46 Palestinians have been killed since 2005 by live ammunition fired by soldiers at stone-throwers, says its report, Israel’s Use of Crowd Control Weapons in the West Bank. The most common crowd control weapons are tear gas, rubber-coated bullets, stun grenades and “skunk” – the use of foul-smelling liquid in water cannon. The Palestinian prime minister Salam Fayyad called for “strong condemnation from the international community” of the recent spate of deaths from live fire, and urged “immediate intervention to compel Israel to desist from these serious attacks on our people”. The UN special co-ordinator for the Middle East peace process, Robert Serry, has also raised concerns about the use of live fire by Israeli soldiers in the West Bank. Israel is always claiming that they only target “terrorists” in order to “defend” themselves when in reality they are willing to kill anyone. It’s like a game for them. A disgusting and inhumane act that the world continues to ignore. IMEMC – The Israeli Supreme Court delayed, Thursday, deliberation in an appeal filed on behalf of a Palestinian child from Gaza who was paralyzed by an Israeli missile that also killed several family members in Gaza. Maria Aamen is now 11, but when she was only three years old, an Israeli missile struck a civilian vehicle in Gaza leading to the death of her mother, grandmother and her 7-year old brother. Maria did not die in the attack but was seriously injured when the explosion threw her body out of the car causing Quadriplegia; seven Palestinians were injured in the attack. Maria now lives in Um Al-Fahem, north of the country, receiving medical attention at a specialized Israeli medical center. Following her serious injury, the Israeli Supreme Court made a rare decision in favor of Maria allowing her to receive the needed medical treatment. But the Israeli Defense Ministry did not want to pay the expenses for Maria’s treatment, and in 2007, Israeli Defense Minister, Ehud Barak, decided to stop the funding for her treatment. Since then, the family of Maria has been in legal battles with Israel, trying to ensure continued treatment in Israeli medical centers. Defense Attorney, Adi Lustigman, stated that the Supreme Court decided to delay the deliberations until next week in order to study Maria’s medical file. Lustigman presented the court with a detailed medical report outlining the health condition of the child, and informing the court that Maria constantly needs respirators, thorough medical attention, and is always dependent on her power chair. Maria told the Bokra News Agency that she wants her “old life back”, and that she wants to be like other children, without her power chair, and without all of those machines. “I want to live like other children do, I want to live without a power chair, without respirators”, she said, “As a child, I was robbed of my basic rights to live in peace, the Israeli missile killed my dear mother, my brother, my grandmother, and my uncle, and left me in this condition”. 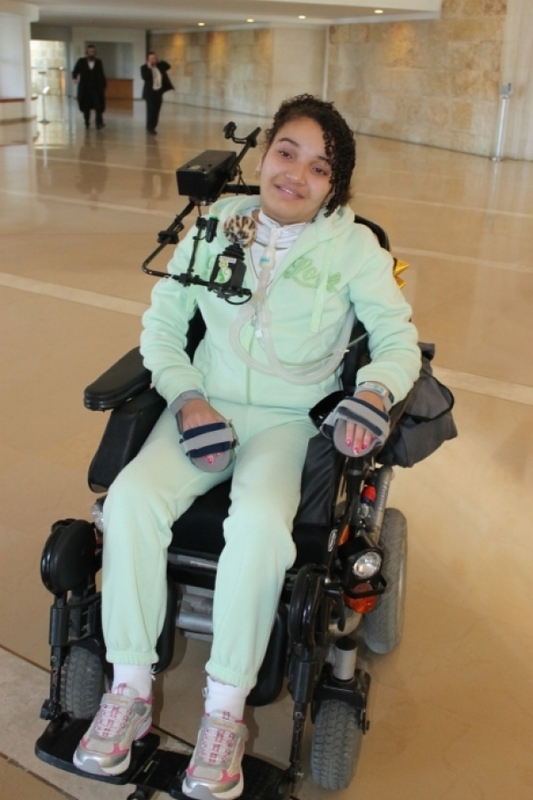 “Today am fighting for my life in this court, trying to convince Israel to continue to pay for my much needed medical expenses”, Maria added, “Am still alive because of the extensive medical attention am receiving here, and my respirator, am moving around on my power chair, I can’t move any part of my body, I can only move my head”. 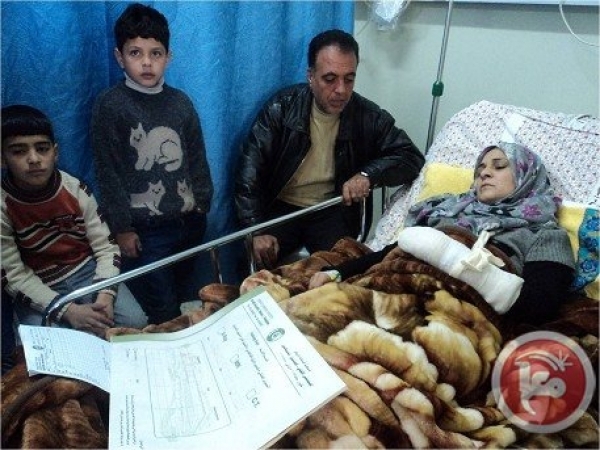 Ma’an News – “I saw an Israeli soldier on the main road firing gunshots haphazardly, so I put my left hand on Lubna’s back, and grabbed her to try and run backward. A gunshot hit my hand, and I shouted as I ran. This, says Suad Jaara, 28, is what she witnessed Wednesday afternoon when Israeli officers near al-Arrub refugee camp shot her and her friend Lubna al-Hanash. Lubna, 22, died hours later. Speaking to Ma’an, Jaara said Thursday that she and Lubna were walking on the campus of Al-Arrub College about 100 meters from the main road when they came under fire. Jaara’s testimony contradicts claims by the Israeli army’s chief of central command on Channel 10 Wednesday evening that the woman was trying to hurl a Molotov cocktail at an Israeli vehicle. But Jaara says she and her late friend were the only ones in the area, walking around and enjoying the scenery. Jaara is an employee at the Ministry of Prisoners Affairs. Her brother Jihad was a gunman in Fatah’s al-Aqsa Brigades in the Bethlehem area. He was deported to Ireland after the Nativity Church siege in 2002. It's Only Natural To Resist.